Multi-layered bowls and urns often incorporating low relief sculpture, as well as sculptural pieces based on work modelled from life. 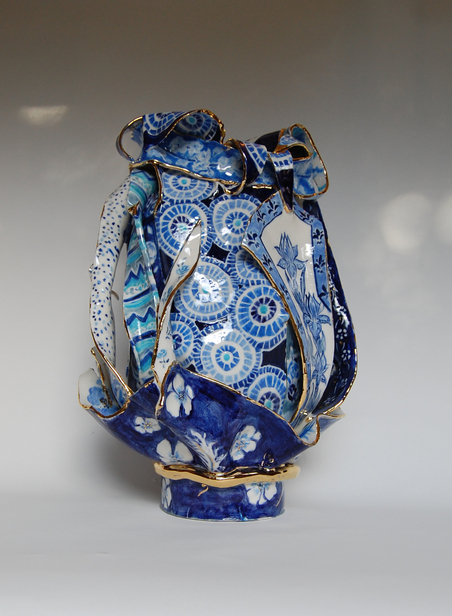 The work is primarily in porcelain though Liz also uses terracotta. Pieces are often freehand painted with designs inspired by the shapes.